This is an update from the articles posted March 9, April 4, April 6, and April 10, 2018 relating to Single-Family Homes – DC Legislation Proposed to Exclude from TOPA. The District of Columbia Council passed legislation today, April 10, 2018, that excludes single-family homes from TOPA. Bill 22-315, was first introduced last year and focused on excluding accessory units (like basement apartments). After a lengthy hearing on that iteration, the proposal was expanded to exclude single-family homes, including those with accessory units. The name of the Bill was changed to the TOPA Single-Family Home Exemption Amendment Act of 2018 from its earlier name of TOPA Accessory Dwelling Unit Amendment Act of 2017. The Committee Report from the Housing and Neighborhood Revitalization, chaired by Councilmember Anita Bonds, goes into detail about the circumstances that give rise to the need for the legislation and the positions of the various stakeholders. The then-current version under consideration, Bill 22-315, was passed at first reading on March 6, 2018. Voting against the Bill were Councilmembers Nadeau and Silverman. 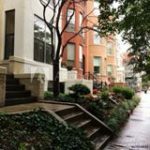 There was an amendment introduced and passed the same day by Councilmember Cheh which added an additional notice to tenants, to be sent within several days of listing a property, that simply notified the tenant that the property was being offered for sale. The Bill excludes single family accommodations from TOPA. There are certain protected classes: elderly and disabled. The Bill sunsets those protections if a written lease were not in place on March 31, 2018 or if the property was not occupied by April 15, 2018. The definition of accessory units is fairly expansive, meaning that a single-family accommodation with a basement apartment or a carriage house would be exempt from TOPA, subject to the carve-out of the protected classes. The Bill, as voted upon, incorporated almost all of the technical changes requested by the DC Land Title Association (for which the author serves as lobbyist) designed to 1) ensure clarity so that title insurance underwriting can be achieved without many of the current obstacles, 2) clearing up the concept of “delivery” so that it can be ascertained with certainty, and 3) to be able to identify if a person is either elderly or with a disability. This notice, included in an amendment by Councilmember Cheh, will need to be delivered to the tenants within 3 days of entering into a listing agreement, receipt of an offer to purchase, or issuance of an offer to sell. This “heads-up” notice would need to include the price, and the tenant “may submit an offer to purchase the single-family accommodation in response to the notice”. This notice needs to be sent not more often than once a year (as long as each tenant receives it once a year), does not trigger any rights and is mainly to allow tenants to plan. A failure to deliver this fairly non-substantive notice would not give rise to any in rem jurisdiction over the property. No lis pendens could be filed. The damages, if any, could only be assessed against the owner. The realtors might incorporate this Notice into their listing package to ensure that it is sent. This notice is optional. But, if utilized, it is a powerful tool for both the owners and the tenants. In effect, this is a “ping” letter to let the tenants know that the owner has an interest in selling the accommodation (or demolish, discontinue, etc.) and asks whether the tenant is elderly or with a disability. If the tenant is in a protected class, the tenant would be covered by TOPA. If, however, the tenant is not in a protected class, TOPA would no longer apply. What this Notice of Intent would contain. The form itself is likely to be issued by the DHCD, but would contain a description of the rights and obligations of elderly or disabled tenants as well as a list of organizations that can provide assistance. How is this Notice delivered (and are delivery methods the same for all required documents)? The new Bill cleans up a recurring problem which was how to prove that someone actually received a piece of paper. For example, if a document is delivered to a front desk or concierge, how would anyone be able to prove the date that the document was placed in the tenant’s hands? Certified mail, the method in the current statute, has proved to be disappointing. Green cards get lost, and the USPS sometimes disavows that it received a piece of mail, even when the owner has a stamped USPS receipt showing mailing. Hand delivery is now expressly permitted. A certificate or affidavit of hand delivery will establish the date and time of delivery. Copies of Delivered Documents need to be sent. Except as to the first Notice of Listing, copies of all other notices must be delivered to “the Mayor” (i.e. DHCD) within 10 days along with written evidence of the date of delivery of the original document. DHCD will be date stamping receipt of documents and upon request of an owner, tenant, title company, or listing brokerage shall provide written confirmation of receipt or non‑receipt of any document (except for the Notice of Listing). The tenant has 20 days from the date of delivery to deliver a written response to the owner that states that the tenant claims status as elderly or a tenant with a disability. If a tenant fails to deliver that response is deemed a waiver of TOPA rights. Apart from informing the owner of a claim of protected status, the tenant also needs to supply documentation to DHCD (discussed below). Limitations on when this Notice of Intent can be sent? The current version of the Bill under consideration says “An owner may not serve a tenant with notice of intent to sell … more than 60 days before issuing the offer of sale.” That might happen more than 60 days after an owner elected to send a Notice of Intent. If resending a Notice of Intent every 60 days is curative under this statute, it might be more work and notices than advisable. The committee that advanced this Bill considered changes to this language, but opted to leave the language as is. The version of the Offer of Sale depends upon are in the building. Now, the Offer of Sale for a single-family accommodation, even with an accessory unit, will be a single-unit offer. Delivery, tracking, and confirmation by DHCD are the same as set forth above. send a copy of the Offer of Sale to Office of Tenant Advocate on the same day the Offer of Sale is sent (Councilmember Trayon White amendment) (and OTA has 4 business days to try to contact tenant to offer assistance). “A tenant’s failure to deliver a written statement of interest to the owner in a timely manner shall be deemed a waiver of the tenant’s rights under this section. Settlement to be at least 45 days after date of contract; but, if a lender says that it needs up to 75 days after the contract to decide to lend, the owner shall afford an extension to close. This has changed radically. Tenants may no longer receive compensation for assigning their TOPA rights (either to the owner or to anyone else) except for the right to immediately use and occupy the tenant’s unit for up to 12 months following the sale at the same rent as of the date of offer of sale. Reassignments are further limited to corporations or partnerships of which the assignee is a principal and no consideration is allowed in exchange for a secondary assignment. Nor can a tenant receive consideration to vacate before the end of the 12-months. It has been suggested that, notwithstanding the foregoing, a tenant could accept consideration for vacating early after receiving a notice to vacate for personal use. How does a tenant prove disability or age? When does a tenant have to submit proof? A tenant who asserts rights as an elderly tenant or tenant with disability would need to provide documentation to DHCD by the same date the tenant’s written statement of interest is due to the owner. What proof will DHCD be looking for? For age, DHCD will be looking for birth certificate, District-issued driver’s license or identification card, or other documentation satisfactory to DHCD. other such documentation the Rental Conversion and Sale Administrator deems sufficient to establish proof of disability. Deadline for DHCD determination of status as elderly or with a disability. DHCD will, within 30 days after receiving documentation, determine whether a tenant qualifies as an elderly tenant or a tenant with a disability and would provide that determination to an owner, tenant, title company, or listing broker. The legislation will now go to the Mayor for her signature and then to Congress for review. This article is an update of articles posted on March 9, April 4, April 6, and April 10, 2018. It reflects the passage of the legislation.